Browsing the archives for the sci-fi tag. Odd… perhaps a coworker left something for me. Let’s zoom in. 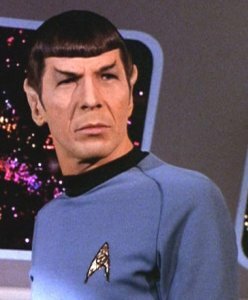 Mr. Spock has intentions to harm you. So I’m pretty sure Shaw is far too busy with his cool-guy life to update for the rest of the week. That means I can do whatever I want. What’s that? You don’t want to look at a picture of Spock? TOUGH!